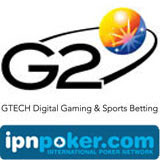 A player on GTECH G2’s International Poker Network (IPN) hit the network’s massive Bad Beat Jackpot this week when his Quad Kings lost to a Royal Flush. A player known as 72osROCKS!, the loser of the hand but winner of the Bad Beat Jackpot, received €177,500. Hand winner Nogis22 got €88,750 and the other three players at the table each won €29,583. The Bad Beat Jackpot was created to help ease the frustration of losing even when you’re dealt great cards. With a jackpot requirement starting at Quad 6s, the IPN’s Bad Beat Jackpot is easier to win than most. To qualify for the Bad Beat at IPN poker rooms, players must be at a designated Bad Beat table and use both pocket cards in their winning or losing hand. The losing hand must be four-of-a-kind sixes or better. Four or more players must be dealt into the hand. The IPN is Europe’s largest independent Poker Network. It recently celebrated its 3,000,000th player and dealt its billionth hand last year. The IPN includes such popular poker sites as VirginPoker.com, PokerHeaven.com and the Casino-Club.com poker room. There is a list of International Poker Network poker sites at http://www.ipnpoker.com/ipn_poker_rooms/area-52.html.